Doug grew up near Seattle and had more interest in art than sports as a child. In elementary school he would stay inside drawing pictures instead of going to recess. His lack of activity resulted in him being one of the most overweight boys in the school. As a junior in high school, Doug received a gym membership as a gift from his dad and began working out. At that same time Rocky III was released and Doug made a goal to build a ripped and symmetrical body like Sylvester Stallone. For over a year Doug worked out consistently and intensely, at times almost to the point of vomiting. Small early gains soon gave way to a plateau that seemed impossible to break. It began to look like building a Stallone-like body was an impossible dream. Hoping to find better answers on building muscle, Doug subscribed to Muscle & Fitness magazine and started following the workouts of pro bodybuilders. He believed their muscular physiques were evidence that the workouts would produce results. Doug also spent his hard-earned savings on the supplements highlighted in the magazine that promised big gains. But, all hope of making significant gains was soon replaced with disappointment and frustration when nothing he tried seemed to work. Doug’s enthusiasm for fitness would come and go over the years. He would go through spurts of working out and then stop for extended periods of time until he saw some new workout or supplement that he hoped would be the answer to his inability to gain muscle. After years of yo-yoing weight and attempts to build an ideal physique through determination and hours at the gym Doug felt frustrated. He was at the point of giving up on having the body he dreamt about since adolescence. A back injury during a business trip would change all of this for Doug. In an effort to relieve his pain from the injury Doug visited a local chiropractor. The treatment helped but the chiropractor identified the root of the problem as a muscle imbalance. He recommended that Doug see a personal trainer who could help him resolve those imbalances. This led Doug to Sal Di Stefano. 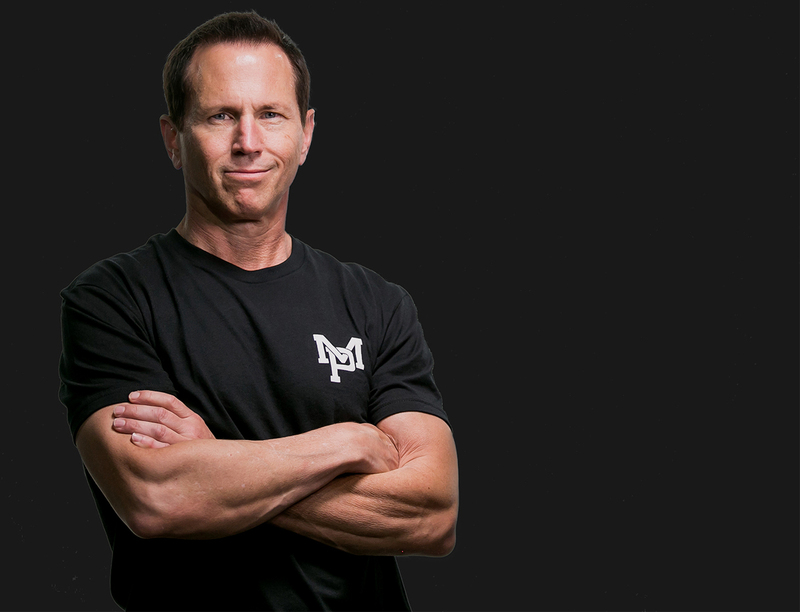 Doug hired Sal, and soon realized that Sal had a unique philosophy that seemingly ran counter to everything he thought he knew about fitness. Much to his surprise, he started to see real and consistent gains in the gym in spite of working out only twice a week. In his late forties he was seeing better gains than in his twenties! These results re-ignited his interest in working out and led him to think of ways he could work professionally with Sal. Doug realized that his experience in internet marketing, photography, videography, graphic design and more, coupled with Sal’s training knowledge, look, and charisma could create a winning combination. In 2013, Sal developed the first MAPS concept and it was off to the races. The pair spent Sundays filming in Sal’s training studio and evenings building the program online. From the original inception, it took six months to the launch of the first MAPS program. A year after the launch of that first program, Sal and Doug partnered with Adam Schafer and Justin Andrews to create Mind Pump. Doug is now able to fully immerse himself in the things he loves best… health, fitness, artistic/creative pursuits and the ability to provide life-changing value to people around the world.